Windows Live Spaces is a community similar to Facebook and Myspace. 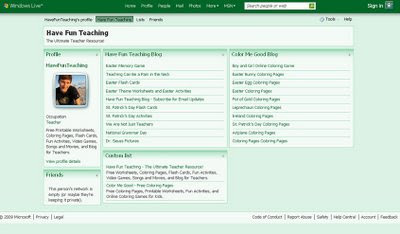 If you want to sign up for a Live MSN Space Account, you can get daily blog updates from Have Fun Teaching. It is easy and free! Join the Windows Live Space community - Click Here.